This ripper colt is all muscle and all speed. Shea and bloodstock agent Lenny Russo, the buyer of G1 hero Malaguerra, both agreed that this horse was one of the best value buys in the entire Inglis Melbourne Premier Sale. View his profile along with a preview from Peter Moody by clicking here. MAGNUS (AUS) (Bay 2002-Stud 2008). 4 wins to 1200m, AJC Galaxy H., Gr.1. Sire of 378 rnrs, 263 wnrs, 15 SW, inc. Malaguerra (BTC Cup, Gr.1), Magnifisio, Great Shot, Enbihaar, Platinum Kingdom, Magnapal, Prince of Brooklyn, Miss Promiscuity, The Alfonso, Volcanic Ash - Volcanic General (Mal. ), The River, Malibu Style, Alpha Beat, Missy Cummings, Prettyhappyaboutit, SP Streets of Avalon, Princess of Queens, Gredington, Duke of Brunswick, etc. Owners Priority (f. by Lucky Owners). 6 wins at 1300m, 1600m, A$100,360, 2d MVRC Chandler Macleod Premium H., Hamper World P., SAJC 30th Schweppes Oaks Day H.
Tricky Affair (f. by Henrythenavigator). 3 wins from 1400m to 1800m to 2016-17, 3d SAJC Ubet H.
Celtic Trail (f. by Henrythenavigator). 2 wins at 1200m, 1400m to 2017-18, 3d ATC TAB Highway H., TAB Highway P.
Eternal Circle (f. by Fastnet Rock). 2 wins at 1000m, 1400m, 2d MRC (Mornington) Orbit Fitness H.
Eruption (f. by Lonhro). 3 wins to 1300m in Aust. Niamh Chinn Oir. 3 wins at 1050m, 1200m in 2017-18, MRC Ladbrokes Handicap H., 2d MRC (Mornington) Cleanaway H., MVRC Production Resource Group H., 3d MRC Sheen Group H.
Correspondent. 2 wins at 1500m, 1600m, ATC TAB Highway H.
OFFENBACH (Danehill). 8 wins from 1550m to 2350m, A$379,385, TRC Hobart Cup, Gr.3, MRC Rokk Ebony Salons H., MVRC Alternate Railway Safeworking H., SAJC Yalumba P., 2d MRC Ian Miller H., St Warden H., SAJC Frost Constructions H.
Glowlamp (Encosta de Lago). Winner at 1100m, A$300,350, AJC Intergaze P., 2d AJC Silver Shadow S., Gr.3, Sweet Embrace S., Gr.3, 3d MRC Thousand Guineas, Gr.1, AJC Champagne S., Gr.1, Light Fingers S., Gr.2, MRC Tristarc S., Gr.2, STC Silver Slipper S., Gr.2, Tea Rose S., Gr.2, AJC Gimcrack S., L, 4th AJC Sires Produce S., Gr.1, Surround S., Gr.2, Wenona Girl H., L. Producer. Penglai Xianzi. 9 wins from 1400m to 1650m, HK$8,880,475, HKJC Chevalier Cup, Chinese New Year Cup, ATV Cup, Kwai Fong H., St Andrews Challenge Quaich H., Homestead H., Lion Rock H., Shenzhen H., Castle Peak H., 2d HKJC Aberdeen H., Cumberland H., Chan Trophy H., 3d HKJC Choi Hung H., 4th Hong Kong Macau Trophy, L.
TUKIYO (Haradasun). 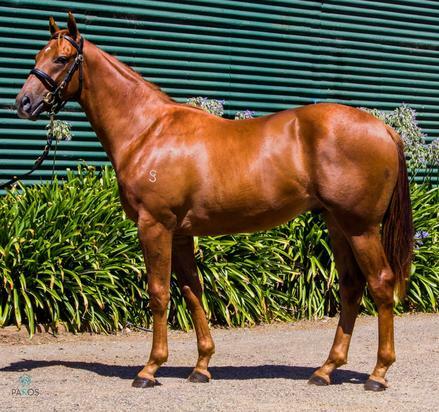 7 wins to 1350m, A$378,200, BRC Nudgee H., L, Channel Seven H., Salmat H., GCTC Kiyomi at Jupiters H., BRC Channel Seven H., Toowoomba TC Neil Mansell Transport H., 2d Ipswich TC Gai Waterhouse Classic, L, Qld Tatt's RC Arcade Classic, L, BRC Winning Edge H., Carlton Mid P., 3d BRC Glenlogan Park S., Gr.3, 4th BRC Glenlogan Park S., Gr.3, Qld Tatt's RC Travel Associates Classic, L.
Santuzza (Savabeel). 2 wins at 2 in 2016-17, WRC Melody Belle Cup, 3d Matamata Breeders' S., Gr.2, WRC Wellington Provedoring 2YO H.
Ongoing Venture. 9 wins from 1350m to 2200m, A$256,865, HK$42,000, Qld Tatt's RC Global Transport Insurance H., SCTC Coastline BMW 3 Series H., BRC XXXX Gold H., GCTC Garrards Horse & Hound H., 2d BRC Girls Day Out Raceday H., Coca Cola Life H., 3d BRC Secutor Securities H., Origin Jockey Series Heat 4 H., Harcourts Green Living H., Andersens Flooring H., FDC Constructions & Fitout H., Horizon Superannuation P.
Casadesus. 3 wins at 1400m, 1600m, Kenilworth Vanda Market on the Wharf H.
Kusha. 2 wins. See above. SPANISH WHISPER (Lope de Vega). 2 wins at 2, NZ$91,750, in 2017-18, Matamata Breeders' S., Gr.2, 2d ARC NZB Insurance Pearl Series 2YO H., 3d ARC Diamond S., Gr.1. OUTSIDE PRESSURE (Shernazar). 2 wins at 1¼m, Leopardstown Osprey Cup, L, Curragh Glengarrif S. Producer. Winning Venture (Owington). 3 wins-1 at 2-from 7f to 1m, Goodwood Classified S., 2d Haydock Spring Trophy, L, Newmarket Somerville Tattersall S., L, 3d Milan Gran Criterium, Gr.1, Doncaster Champagne S., Gr.2, Newmarket Greenham S., Gr.3. ROCK OF GIBRALTAR (Danehill). Horse of the Year & Champion 3YO Colt in Europe in 2002. Champion 3YO Miler in France, GB & Ireland in 2002. Head of The 2002 International 3YO Classification. 10 wins-5 at 2-from 1000m to 1600m, £751,213, €409,031, 1,250,000fr., US$214,000, Irish Two Thousand Guineas, Gr.1, Prix du Moulin de Longchamp, Gr.1, The Two Thousand Guineas, Gr.1, Longchamp Grand Criterium, Gr.1, Newmarket Dewhurst S., Gr.1, Goodwood Sussex S., Gr.1, Royal Ascot St James's Palace S., Gr.1, York Gimcrack S., Gr.2, Curragh Railway S., Gr.3, First Flier 2YO S., 2d Breeders' Cup Mile S., Gr.1, Doncaster Champagne S., Gr.2. Sire. Nell Gwyn (Danehill). Winner at 2, 2d Leopardstown Derrinstown Stud One Thousand Guineas Trial, Gr.3, 4th Leopardstown Trigo S., L. Producer. INTRICATELY (Fastnet Rock). 2 wins at 2, €242,893, US$345, Curragh Moyglare Stud S., Gr.1, 3d Curragh Debutante S., Gr.2, Leopardstown Silver Flash S., Gr.3, 4th Irish One Thousand Guineas, Gr.1, Leopardstown One Thousand Guineas Trial, Gr.3. PRECIOUS GEM (Sadler's Wells). 4 wins from 8½f to 1½m, €107,695, Curragh International S., Gr.3, Limerick Martin Molony S., L, Leopardstown Property Properly H., 2d Curragh Ladbrokes.com H., 3d Munich Nereide Rennen, L, Leopardstown Irishtown S. Producer. PLEASURE GAINS (Cape Cross). 8 wins from 1600m to 1800m, HK$9,934,000, HKJC January Cup, L, Achievement H., Amethyst H., Sight Winner H., 3d HKJC Chairman's Trophy, L.
SARINDA (Dubawi). 2 wins at 1800m, 2000m in France and Germany, Hannover Grosser Preis der Landschaftlichen Brandkasse Hannover, L, 2d Baden-Baden Iffezheimer Diana Trial, L.
DEPLOY VENTURE (Deploy). 8 wins-1 at 2-from 1m to 1½m, £27,221, US$342,979, Golden Gate H., Gr.3, Ascot Finsch Diamond S., Newbury Ladbroke H., 2d Hollywood Park Sunset H., Gr.2, 3d Hollywood Park Charles Whittingham H., Gr.1, Bay Meadows H., Gr.3.